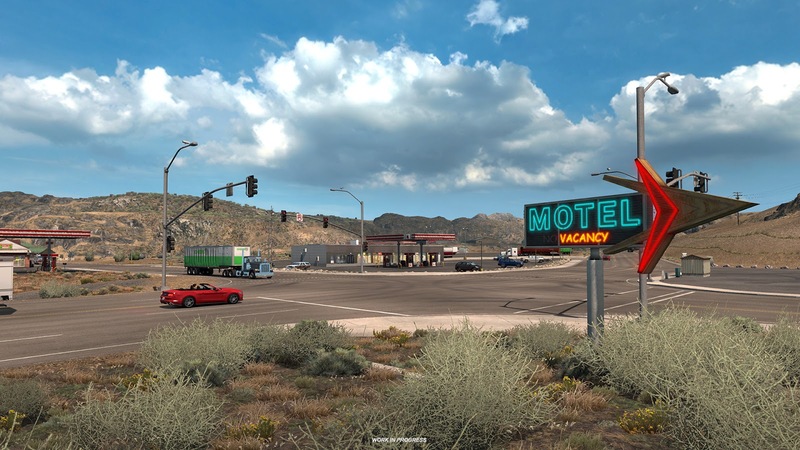 Open Beta test for the latest update of American Truck Simulator is here! You may wonder about the game version number suddenly jumping to 1.28, as at the moment it was sitting at ver. 1.6. We have decided to unify versioning of ETS2 and ATS to simplify communication about game updates both internally and externally. The version number used to denote that ETS2 has been through 27 major updates, while ATS has been through 6 big revisions since the respective game's release. But we realized that this is not a crucial piece of information. It is more relevant and more important to provide the information that the updates, even if they appear at slightly different times, are based off the same core functionality upgrade; that the progress is in sync on both games. That's why we decided to only continue the numbering scheme established originally with the older Euro Truck Simulator 2 game, and stick to it even with American Truck. This way it will be clearer if and when both games reach a particular development milestone. As usual, this update is full of great features for you to try out. Doubles are the main feature of this particular update which is great on its own. But since there are different regulations in Nevada, we decided to add something special for our fans. Please welcome triples and Rocky Mountain doubles which are part of ATS Nevada economy now! 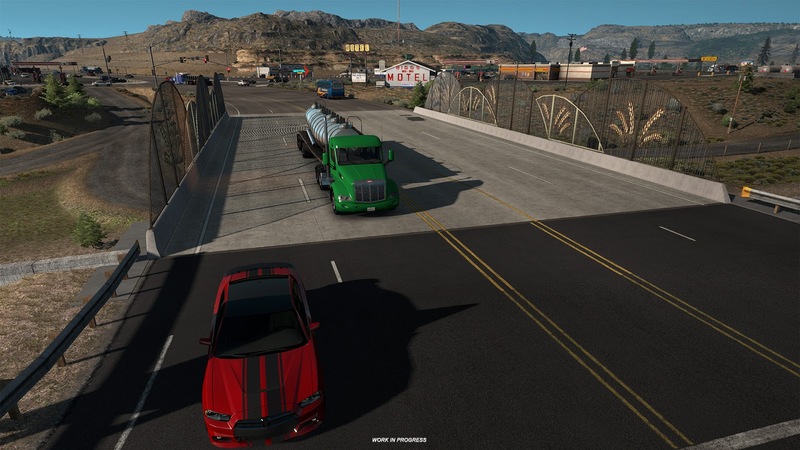 We are happy to announce that the 1.29 Update Open Beta for American Truck Simulator is out. Actually, the first build was released on Friday already, we have kind of soft-launched it before the weekend. There are a lot of changes under the hood in this new game version, there may have been new instabilities introduced. So we thought that we should only expose a limited number of players to the very first iteration of the beta progress, see the reaction, and only then decide if we should start talking aloud about it. Well, the initial reaction was reasonably positive, so here we go! After our last "chef’s" post and all the wild guesses, we thought you deserve another look under the lid. Moreover, we can't resist the urge to show you a couple of pictures from another new region! We are making American Truck Simulator Update 1.31 accessible in Open Beta form today. We are starting a little rough this time, with several known issues, but at the same time, we are eager to collect feedback and reports already to help us finalize this update ASAP. 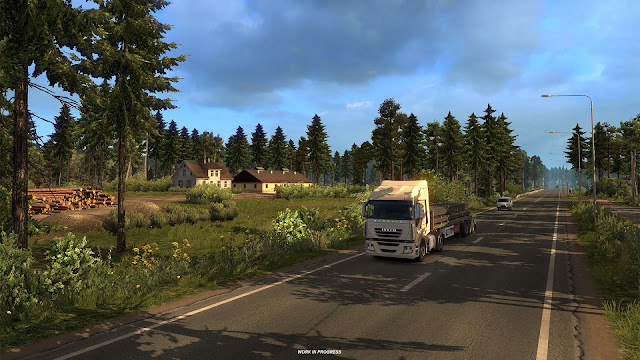 Open Beta 1.31 for ETS2 should follow in a matter of a few days. 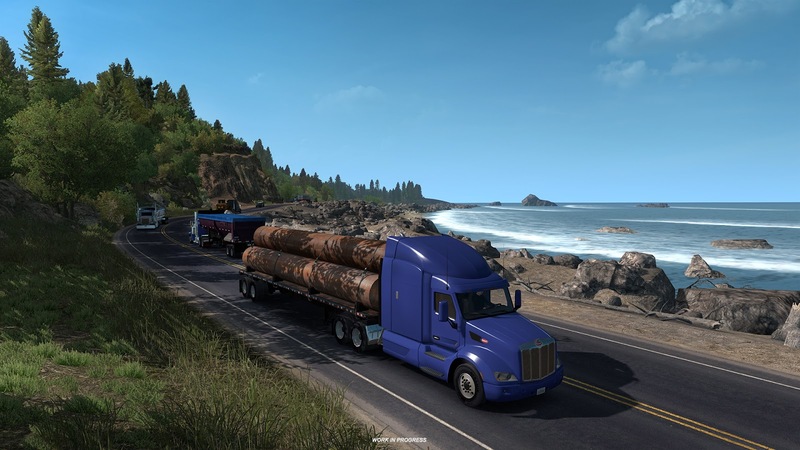 US Route 101 will continue further north from California (part of core American Truck Simulator game) up through the new Oregon map expansion. When the new DLC is complete, the road will start in Los Angeles and end in Astoria. For now, at least - you will have to wait until we release Washington state DLC for the full length of US 101 ;). The section depicted on screenshots below covers the area between Eureka and Crescent City. SCS Software ha rilasciato un doppio aggiornamento per i suoi ottimi American Truck Simulator ed Euro Truck Simulator 2. L'update porta i due titoli alla versione 1.31, con varie migliorie ed aggiornamenti, comodamente spiegati nel trailer qui di seguito. 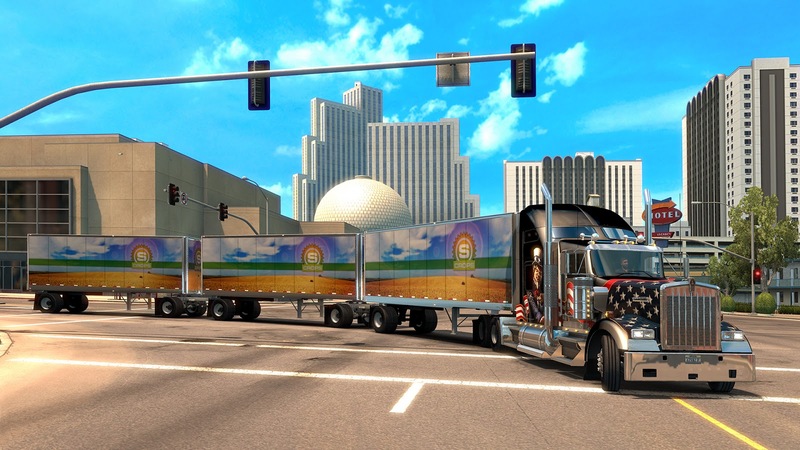 We are happy to give you official new updates for both our flagship truck sims, at last. Testing of this update wave took us longer than we had hoped, both internal tests and the open beta revealed a lot of areas requiring our attention before we could call the update done. There's quite a lot of new content and functionality for both games there, and we have run into some unexpected problems when things refused to work together. Thumbs up to everyone who participated in the beta (for both of our games) and sent us his opinion and reported any issues. We would like to express our sincere thanks for all your help, bug reports, and general feedback, they were even more important and helpful than usual. After over a month full of testing, bug fixing, (and sometimes yelling and panicking), we're finally there. Update 1.31 is out for both of our games!